I feel like I have fallen off of the grid lately. I suppose buying a house and moving will do that to a person! My craft room is full of boxes and chaos. Very unconducive to my creation vibes. I made sure to carve out sometime on this long holiday weekend to create! Gerda Steiner's 72 hour flash challenge seemed like the perfect opportunity. This elephant is super adorable! I colored the main image with Copic markers. 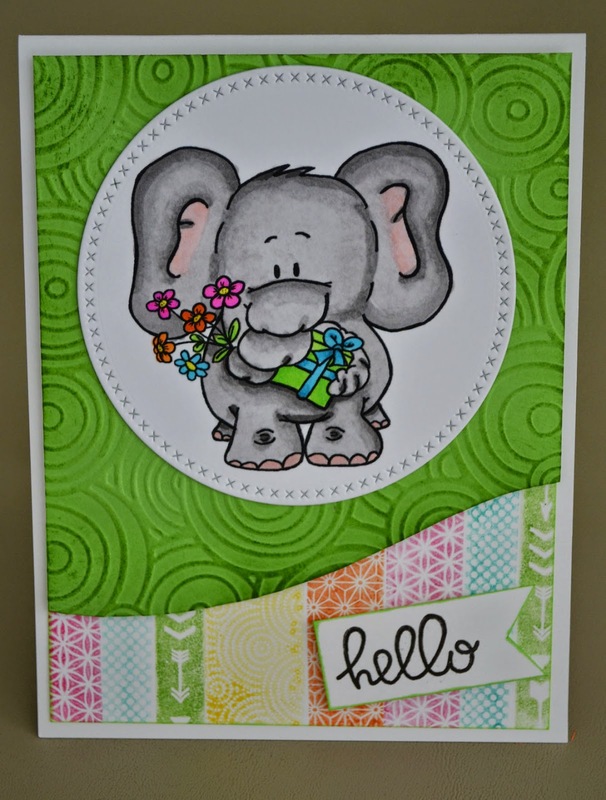 The circle die is one of the new releases from MFT Stamps. 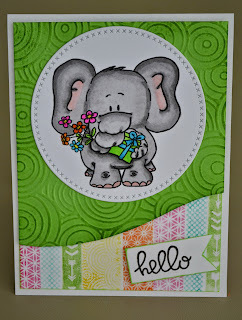 I used an embossing folder on the green layer and sponged all of the edges. The curved edge on the green layer was hand drawn and cut as I didn't have just the right shape. The colored sections at the bottom are a CTMH stamp set. Hello greeting is from Paper Smooches. Green layer was mounted with foam tape as well as the hello banner. Even if I did stay up until almost midnight, I am very pleased with the results!